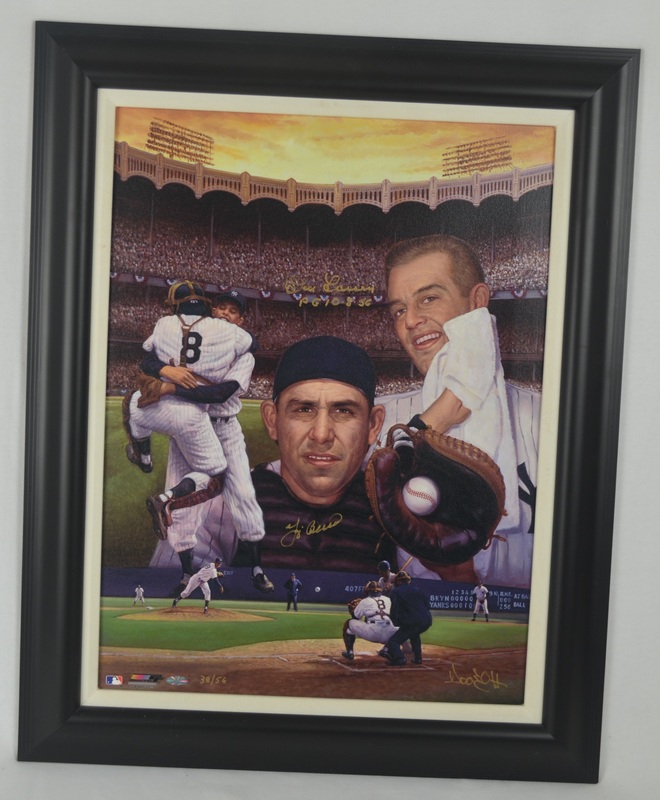 Attractive limited edition lithograph created by artist Doo Oh featuring New York Yankee legends Yogi Berra and Don Larsen after their perfect game during the 1956 World Series. 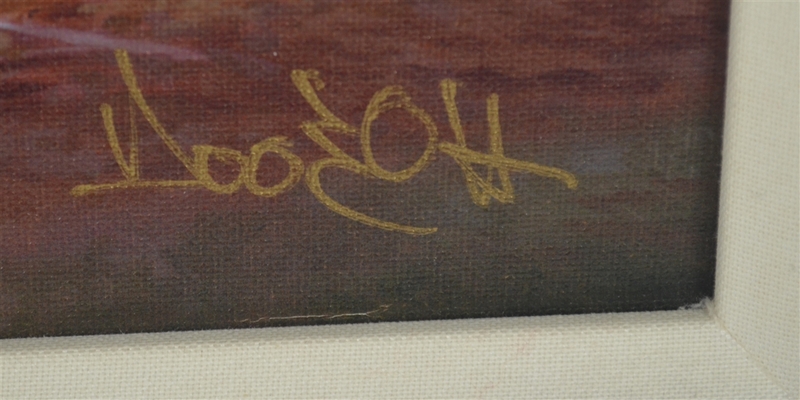 There were only 56 of these lithographs produced with these one being numbered #38/56. 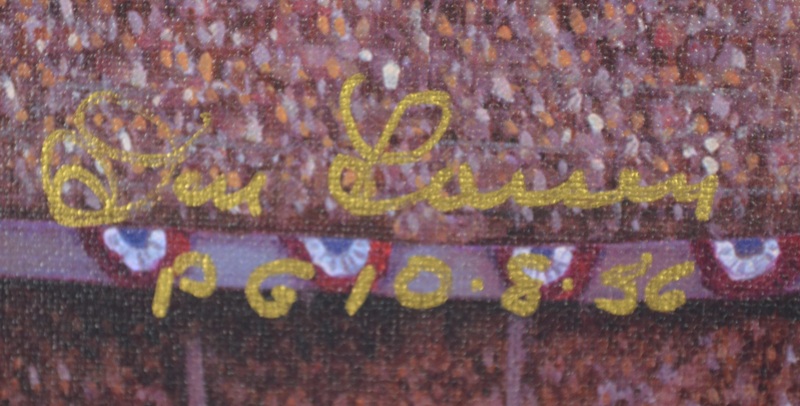 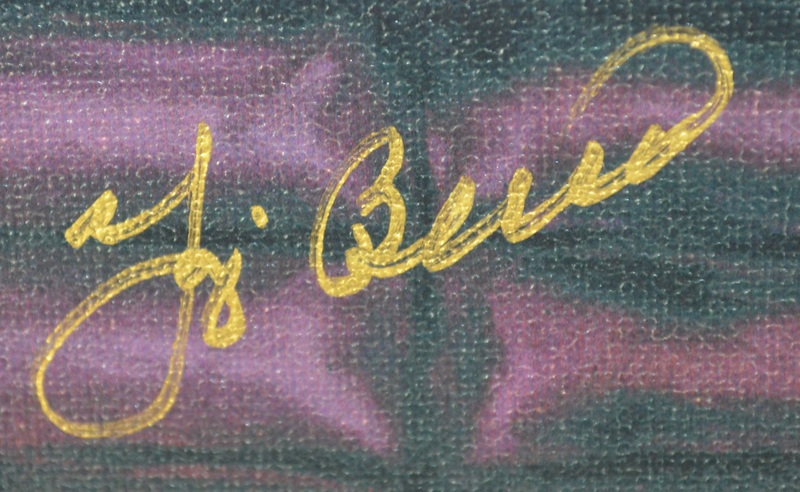 Both Yogi Berra and Don Larsen have signed in gold marker with Larsen adding a special "PG 10-8-56" inscription. 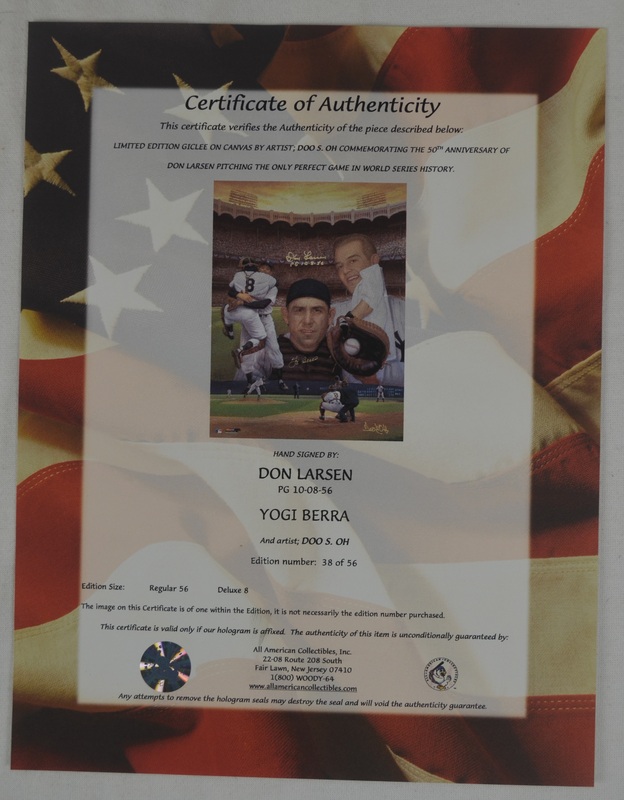 Accompanied by a Letter of Authenticity from All-American Collectibles.